July 9, 2018 By // by Frugal Patti Leave a Comment This post may contain affiliate links. This means I make a small commission if you make a purchase, at no additional cost to you. See my disclosure for more information. First I would like to say that while I’m not a professional, I have learned techniques that have helped me deal with difficult situations in my life. I also urge anyone who feels they may need to see a professional should do so, without shame. Medication is often needed, sometimes temporarily, please take this step if you need to. As we hear of suicides of young, successful people in the news, it only emphasizes the need to take care of ourselves, both physically and mentally. I’ve always heard the saying, Work Hard – Play Hard! At this point of my life I’m starting to doubt that is the way to live. I think Work Hard – Relax Hard, may be a healthier option. Our lives are so fast paced, full of responsibilities, and we’re constantly bombarded with information and interruptions. There are times when we need to take a break from all the “have to’s” and take care of ourselves. I often have to remind myself to be as kind to myself as I am to others. Think of the instructions given on airplanes, always put the air mask on yourself before you put one on your kids or others. We need to take that advice to heart and keep ourselves strong both physically and mentally, so we can be there for others in our lives. We all have difficult situations in our lives (a layoff, death of a family member or friend, injuries from a car accident, family illnesses, etc.). These are the techniques that I’ve used to help me through mine. 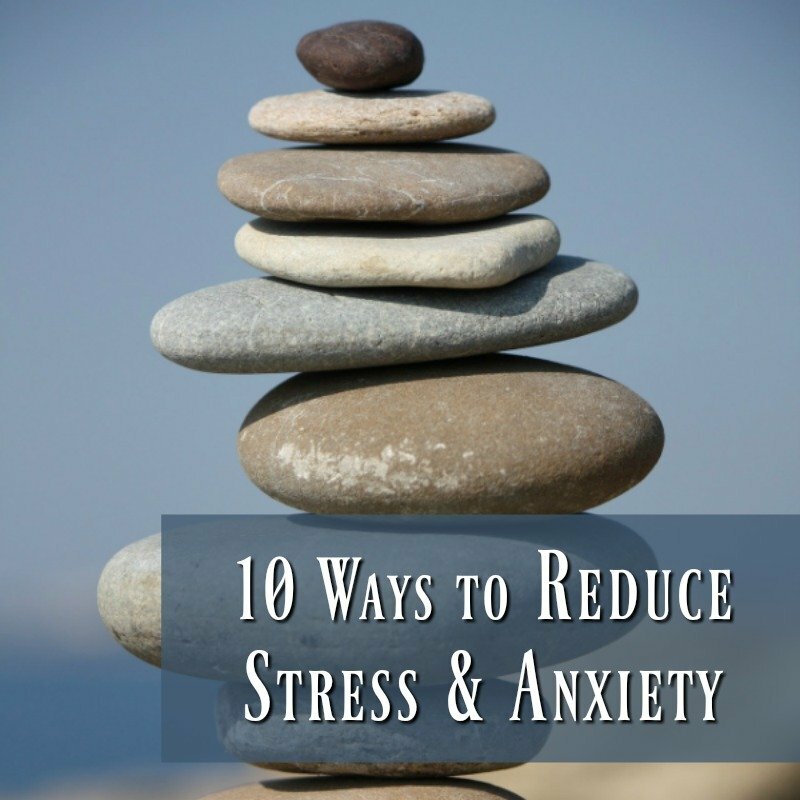 The list of stressful and anxiety causing situations in our daily lives are almost endless, and we are not taught in school how to deal with these situations, in healthy ways. Many of us are so focused on taking care of others and fulfilling our daily responsibilities, that we put ourselves on the back burner. It’s time to add our physical and mental health to our priority list. It is often easier to self-medicate during our difficult times, than to choose a healthy alternatives of self-care. Consider the well thinking mother or grandmother that gives a child a cookie when they skin their knee. As adults we can easily take this self-medication to an unhealthy degree. Stress eating to excess, one too many drinks, turning to cigarettes or even illegal drugs are common examples of how many of us self-medication in an unhealthy way. While a few cookies, piece of chocolate or an extra serving of mac and cheese (my favorite comfort food) aren’t harmful in themselves, if we do this too often it can turn into a harmful habit. Here are some healthy techniques that have benefited me in different stressful times in my life. After a car accident a few years ago temporally limited exercise routine (this has been my primary method of managing stress and anxiety throughout my life), I found meditation quite helpful. Meditation can be as simple as concentrating on your breath. Sit in a comfortable position and close your eyes. Breathe in and out as slowly as is comfortable for you. While you do think concentrate on your breathing. If your mind wonders, redirect your thoughts back to your breathing, in and out. It’s ok if your mind wonders and you have to concentrate to redirect your mind back to your breathing. This is an exercise and it will get easier with time. Another option is a 5-5-5 breathing exercise. To do this breathe in to the count of 5, hold your breath for a count of 5 then breathe out for a count of 5. I find if my mind is really busy and racing this is often an easier option. I use an app called Nature Sounds (free app) during my meditation practice. This is not required, but I have found that by playing this music it automatically starts me to relax and prepare to meditate. It’s also helpful that you can use it as a timer while you meditate. So you will set the timer for 5, 10 or 15 minutes and the music will go off at that set time. Try either of these methods for 5 or 10 minutes a day. I bet you will be surprised at the results of something quite easy and not time consuming. Exercise is such a great outlet for reducing the stress in our lives. Take a run, walk or bike ride and get some fresh air. Just these simple activities will bring you emotional relief. There are three categories of exercise and while all are important to our overall fitness level, they each have different benefits. Strength Training: Weight training and body weight exercises tones and builds muscle mass. Aerobic Conditioning: Running, walking and cycling are great examples of aerobic exercise. These build your cardiovascular system and are great for stress reduction. Stretching: Yoga practice and other stretching are great for increasing flexibility, reducing injury, relaxation and improving sleep. If you’re not able to leave the house due to responsibilities, there are great options for exercise at home. If you have health issues or limitations, there are even exercise options that you can do sitting. There are many apps (free or low cost) and online inspiration/classes to help give you ideas. Music is often a direct link to our feelings and emotions, and can affect us all in such unique ways. It can lift our spirits, relax us, energize us or even be a healthy distraction. While trapped in pre-op with my husband for 5 hours before major surgery, we tried everything to distract and entertain him. It was a nerve racking and scary time to say the least. He was bored and anxious about what was ahead and finally thought of pulling out his phone to listen to music. His choice of genre at the time was Classic Rock. It was the perfect distraction he needed in such an anxious time. Constant bombardment of information, noise and distractions are difficult for all of us to handle and unhealthy for us over time. While we all like staying up to date with emails, texts, phone calls, social media and news broadcasts; it’s just not healthy for us to endure the constant updates 24/7. We all need to take a break and enjoy our families face to face during meals and not allow electronics to hinder our sleep. Limiting the electronics is a quick (but maybe not easy) way to reduce anxiety in our lives. Lavender is my favorite essential oil and the one I use the most. I find it very relaxing to rub a few drops in my hands (rub hands together then cup your hands and breath in deeply), on the bottom of my feet, in a warm bath or rubbed on my pillow case. If you want to take the benefits of essential oils with you, this essential oil necklace is a great option. You can add a few drops and enjoy the benefits on the go. 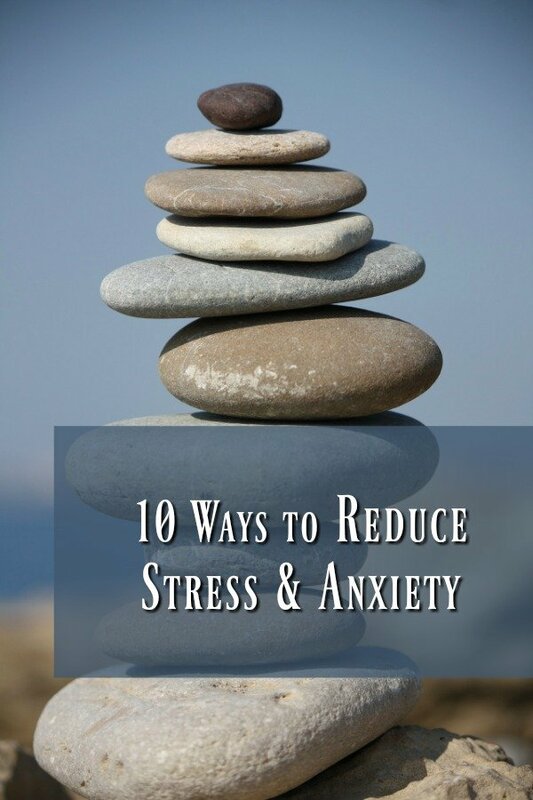 Other essential oils for Anxiety and Stress are Orange, Lemon, Ylang Ylang, Bergamot and Grapefruit. Take a warm bath. You may even want to add candles, music, some lavender or favorite bath salts to the water and dim the lights for an at home spa feel. This is often the most difficult to accomplish when we are going to through difficult times. While trying to get to or stay asleep we often find our mind racing on something bad that happened today or dread of what we will have to face tomorrow. Don’t beat yourself up and do your best. I think of what one of my favorite running coaches said, it’s almost as good to rest as to sleep. There are time when I can take deep breaths while I lay in bed and get a good rest and that is the best I can do at that time. Strangely enough, the next day doesn’t go so bad. That being said, if you sleepless nights last too long or often, you may need to see your doctor or speak to a professional. There may be a physical issue that needs to be addressed. Create an evening bedtime ritual: When you dress for bed, wash your face, brush your teeth, etc. each night, you are teaching your body that these actions will trigger sleep. Create a good sleeping atmosphere: Think of room temperature, darkness and noise level to create a space that will keep you the most relaxed and enhance your sleep. Plan ahead: Each Sunday night I start a list of tasks I’d like to do the next week and each afternoon/evening identify the most important things (no more than 3, to allow for a higher level of success) I need to accomplish the next day. You can always be flexible and change these as needed, but by having them written down, you will no longer be playing what you need to do over and over in your head. I find these very freeing and it allows me to start the day knowing what is ahead of me. Another form of self-care is eating a healthy diet. Instead of running to the chocolate, potato chips or alcohol to numb your discomfort (macaroni and cheese is my guilty pleasure), eating a healthy balanced diet will help you feel better in the long run and strengthen your immune system. Concentrate on a balanced diet including high quality protein and a variety of colorful vegetables and fruits. Since each color of vegetable and fruit has different nutrients, think of it as “eating the rainbow”. The more variety you are able to add to your diet the better. Since time is often a factor when we’re going through a difficult time, planning meals (and healthy snacks) is highly beneficial. If you can set aside an hour on the weekend to prep your fruits and veggies it will really save time during the week. Plan out meals that take less than 30 minutes to prepare and get on the table or meals that you can eat off of for multiple days during the week. While it may seem counterproductive to start a new project at a time when you feel you already have too much on your plate, stay with me on this one. When you learn a new skill (craft, hobby, new language or even learn to play a musical instrument), start a new hobby or DIY project, it will take focus and concentration that will be an escape from your day to day life and/or issues you’re currently dealing with. That being said, choose a project that will fit in your lifestyle and time limits. If you have only 5 or 10 minute blocks of time to spend on something, select a project that you can put down and pick up again later. If you are able to block off a weekend or afternoon, you will be able to select a project that requires more prep and/or clean up time. Choose a project that you will enjoy, will take a lot of concentration/focus and you will feel a lot of accomplishment when complete. Gardening projects: Plant a new rose bush or your favorite vegetable. If your space is limited, container gardening can be a great choice. If you love cooking, think of how wonderful it would be to have fresh herbs on hand to cook with. Crafts projects: If you’ve never tried knitting, crochet, sewing, wood working, drawing (the list is really endless) and always wanted to learn, this is the perfect time. There are many online classes to get you started. Select an easy project that you will enjoy and won’t overwhelm you. For instance, if you’re interested in crochet, think of making a dish cloth for the kitchen as a first project. It doesn’t have to be perfect and will be enough for you to get your feet wet in a new skill and find our if you like it before you invest a lot into it. Cooking/Baking: There are many recipes and online classes to teach you new skills in the kitchen or on the grill. Most home cooks make the same dishes or styles of dishes, over and over. Think outside the box and try something different. Maybe it’s something that you had at a restaurant or a specialty condiment that you enjoy using. If you love cooking, you may want to try a cake you’ve never tried before. The grill master of the house may want to learn how to make homemade BBQ sauce. What about homemade bread or even making your own vanilla. When you’re dealing with your most difficult situations, writing about them is a great outlet and can be so cathartic. I read in Sheryl Sandberg’s book, Option B: Facing Adversity, Building Resilience, and Finding Joy, how she used journaling to deal with the loss of her husband. By writing down your thoughts and feelings you’re able to release deep emotions that you would normally hold in. You can write in a plain notebook or choose to use beautiful bullet journaling formats to organize your thoughts. There is no right or wrong, the goal is to get it out on paper and release your emotions. Just be true to yourself. While we’ve all been taught the golden rule, Love others as you love yourself. We rarely hear the other side of the story. You have to love and care for yourself for the golden rule to be something to strive for. I hope that some of these tip and techniques will help you deal with difficult situations. What other practices have helped you?